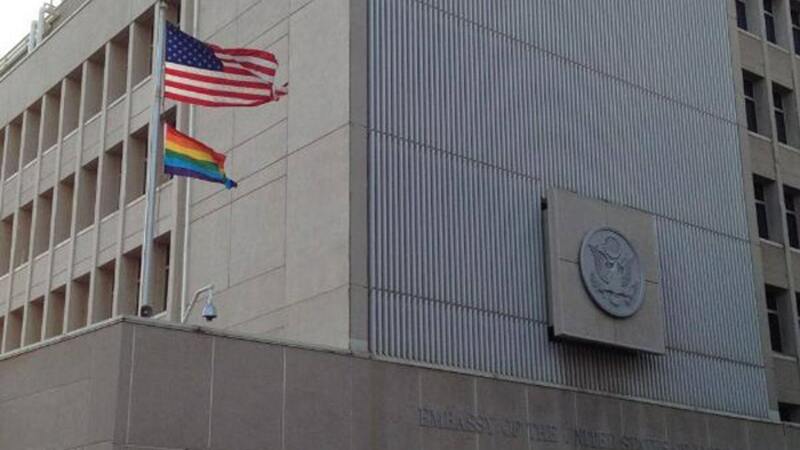 The U.S. Embassy broke new ground and raised a few eyebrows by flying the rainbow-colored gay pride flag below the Stars and Stripes in a show of support for the city’s week long Gay Pride week, not to mention a rare example of tolerance in the wider Middle East. 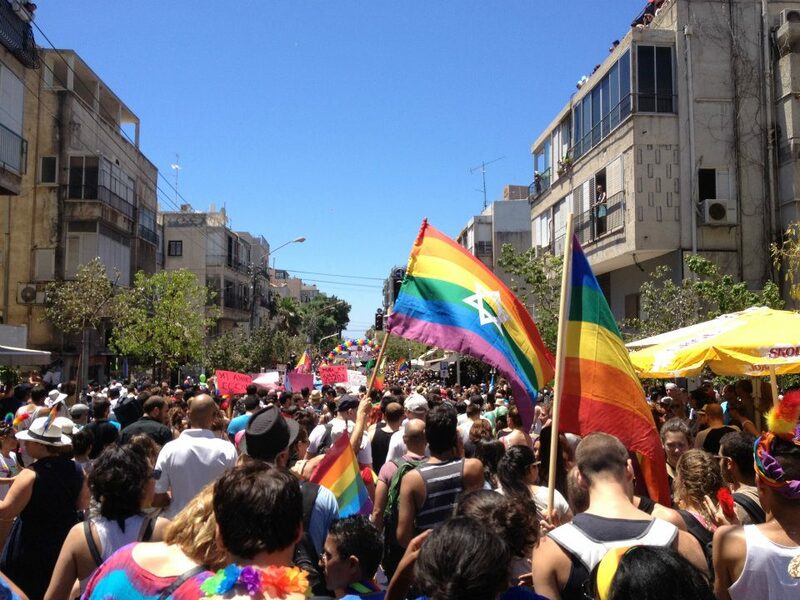 The Tel Aviv embassy gesture to the local gay community is not the first of its kind though. Last month, according to Spanish media reports, the gay pride flag flew over U.S. 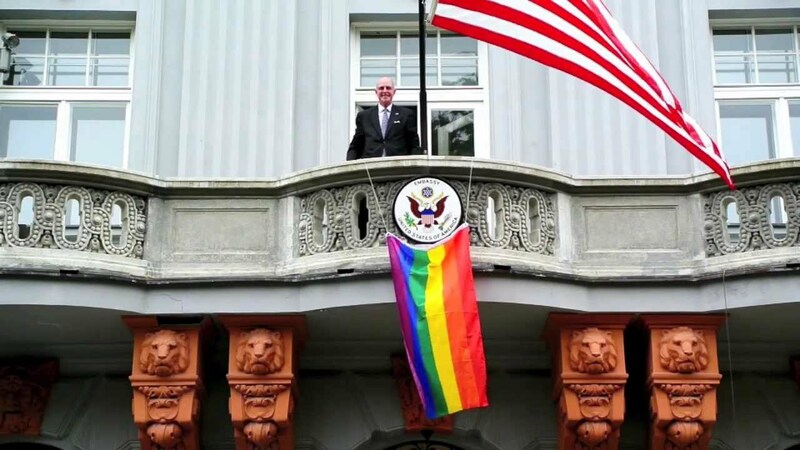 Ambassador James Costos’ official residence in Madrid, and last September, the flag was unfurled by Ambassador Theodore Sedgwick at the U.S. Embassy in Bratislava, in Slovakia. 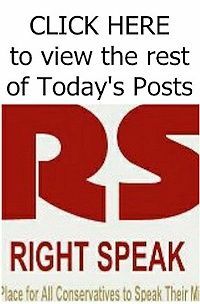 Reaction from outside of the gay community to the sight of the American flag being accompanied by the rainbow banner was mixed.